Once you sign up you can begin using the software immediately. It all starts with the phone call. If your new to this business choosing NWCOPRO can get you started keeping great records. Signup is 100% free and we do not ask for a credit card, it’s actually free to start because like YOU, I run a nuisance wildlife control business and I know it’s feast and famine! So even in the slow season, you can test drive it. The monthly subscription is a flat rate no matter how many techs you have and it’s cheaper than a single great steak dinner! Using NWCOPRO will add a realistic increased value to your business should you ever decide to sell it. You will be able to track each phone call, the work done out in the field and best of all your equipment. Ask a seasoned veteran and he will tell you he has lost thousands of dollars in equipment by accidentally leaving a trap in an attic here and there over the years. 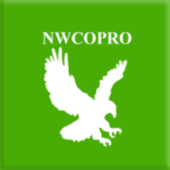 When you first start using the NWCOPRO software as a service website you will want to get your account setup right. This means adding in equipment, setting up your cost library, creating lead sources, etc. The more information you add now, the easier this software gets to use. You will eventually just be clicking to add entries and streamlining your business. Because many NWCO’s are sole proprietors you will be glad to know you can access all of the menus as the OWNER of the account. In the event you have a Secretary you be glad to know she can access many of the same menus. If you have a technician, he or she can access only what is needed in the field. There is something here for every level of business. As long as you have the Internet you will have access to your account. You can also download all of your Customers, Phone logs, Estimates, and Invoices in the form of an Excel file for print out and offline filing. If you ever want to unsubscribe you can easily do it and your data will still be available you just won’t be able to add anything new, otherwise you would still have FULL ACCESS to your account!